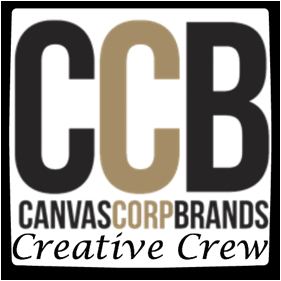 Challenge #35 at Cricutters Anonymous is to create a tag or bag. 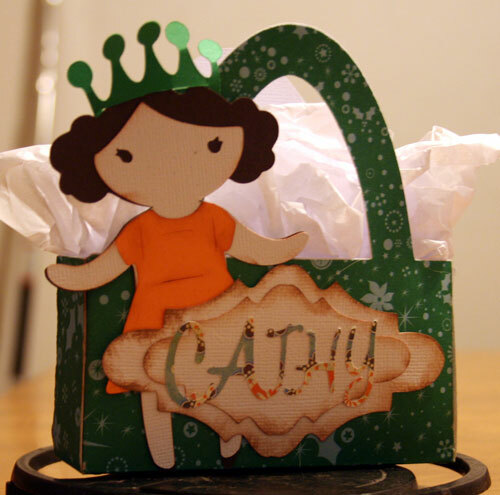 Once Upon A Princess has some really fun elements and this bag was one of them. I added a tag and the child's name. Wouldn't these be great as goodie bags as well as place settings? 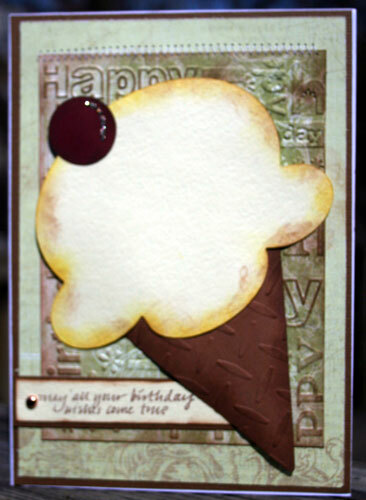 My 2nd card for Challenge #34 at Cricutters Anonymous is to create a picnic inspired project. 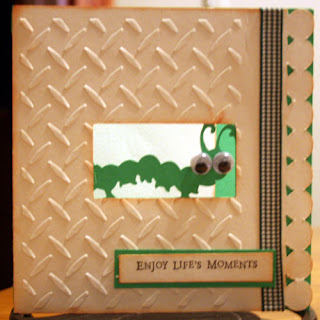 Stretch Your Imagination has some great cards so I created this caterpillar card. 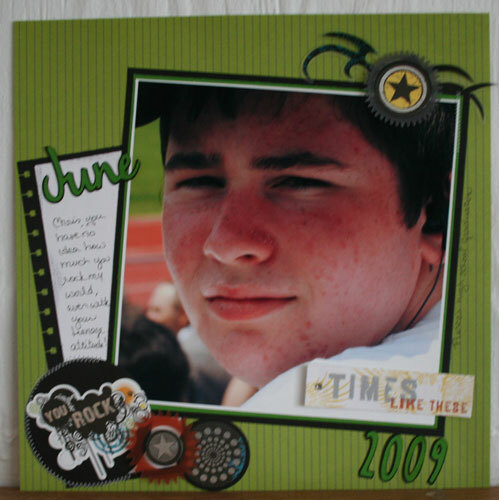 Check out this blog candy from Posh Scrapbook Store . Isn't it amazing? Go check it out. 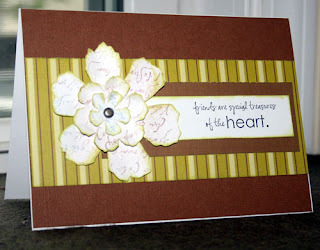 Justrite Stamp's challenge this week is to use any floral stamp from their sets. 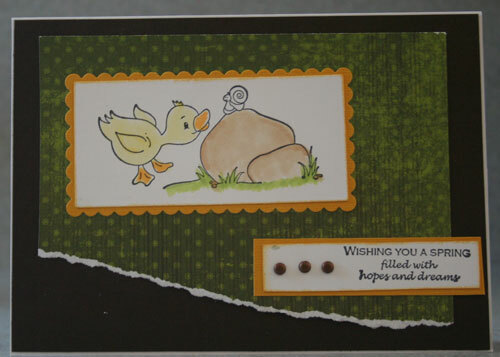 I used a stamp from Thinking of You Borders & Centers Oval to create my card. I then colored it with Copics. One set of products we worked with at Ranger U was using Perfect Pearls in so many different ways. I wanted to create a heritage type card, but didn't have the right background, so out came the Perfect Pearls. I first applied Perfect Medium to my script stamp and stamped it on white cardstock. Then using a paint brush I applied several different colors of Perfect Pearls across the words. The Perfect Pearls adhered to the words and provided a soft yet shimmery look. 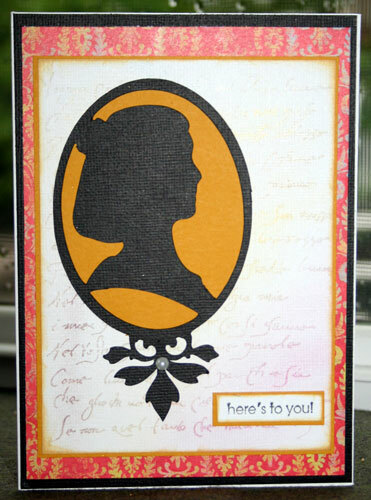 I die cut the cameo from the Cricut Heritge cartridge and added a pearl for dimension. 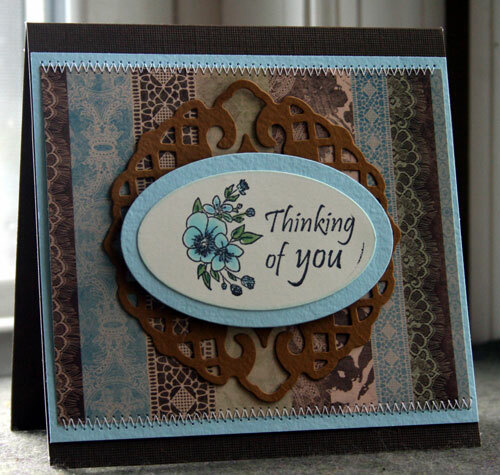 Since I had some left overs, I used the new Tim Holtz Sizzix flower die and die cut some flowers. I lightly inked the edges and combined them into one flower. This is one of my latest layouts for Scrappin' Sports stuff . If you haven't checked out the store lately, you should. 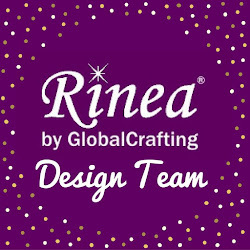 Not only do they have sports related papers and embellishments, they stock all types of themed products for any occasion. 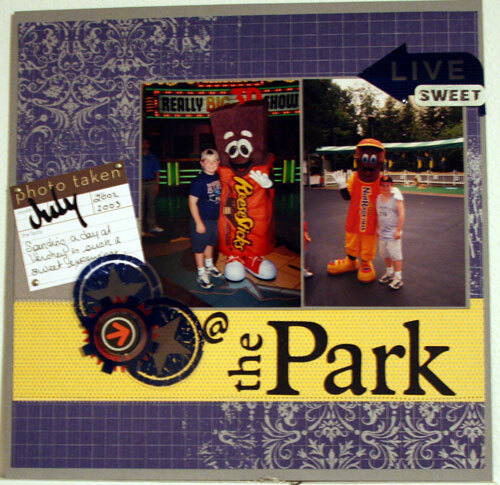 I have always loved Hershey Park and we went a number of times when Chris was younger. Seeing those candy people always makes me smile. 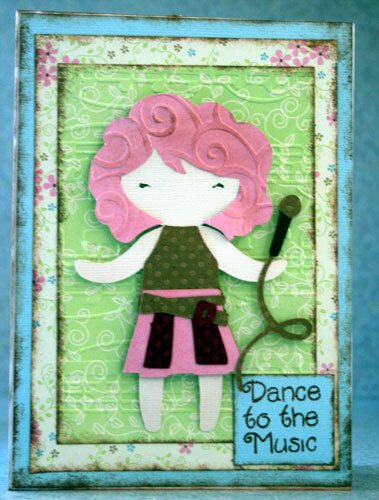 PK Glitz has a sketch challenge this month so I created this card. I know it's a little early (or perhaps a little late, depending on your perspective), but I thought it fit their sketch very well. I first colored in my image with Copic markers then used my glue pen to add glue exactly where I wanted it, then poured on the glitter. Red Hot Chili Peper was used on the Pointsettia; Steel was used on the leaves and Gold was used around the edges. I also punched some pine branches which I also glued and ran through the Steel Glitter. I created this layout for Scrappin' Sports stuff . If you haven't checked out the store lately, you should. 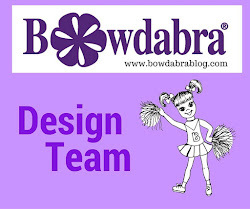 Not only do they have sports related papers and embellishments, they stock all types of themed items for any occasion. I love it when I can finally capture a great photo of my teenager. He makes it so difficult and usually turns away when I grab my camera. So I am thrilled it turned out so well and looks great as an oversized photo. It is so easy to create amazing cards when you have the right stuff to work with. I was recently playing with Cricut's Once Upon A Princess cartridge and came across this ice cream cone, so I just had to create a card. 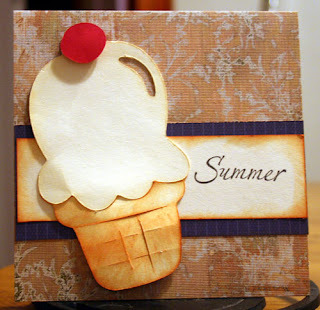 Using the Cuttlebug birthday embossing folder on my card, I added the ice cream cone and ice cream on top with Helmar's Zapdots to give it some depth. 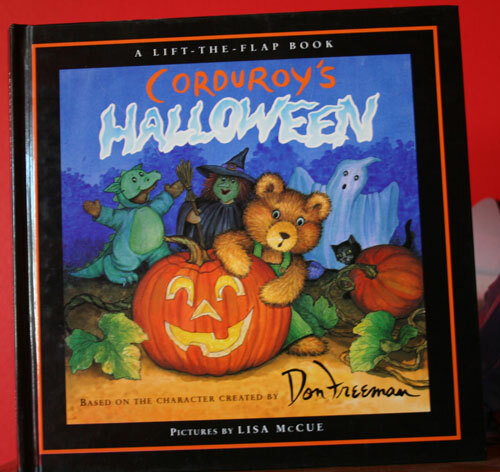 The cone was embossed with Diamond Plate and then gently folded to give it a rounded feel. Some stickles were added to the cherry on top. 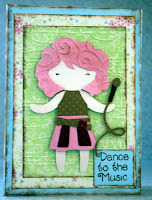 A second card for Gina K Designs this month. This challenge was to create a card based on a children's book. 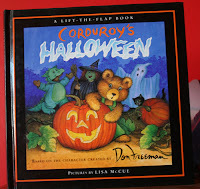 Corduroy's Halloween is a sweet book about a bear and his pumpkin. 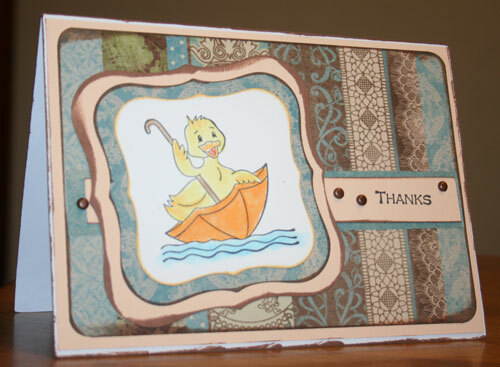 I chose to create a card with the duck and his umbrella, from the Spring Has Sprung Set . 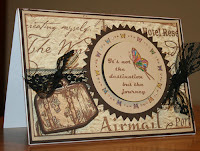 Gina K Designs has some amazing stamps this month and I did indulge. The challenge was to create a card based on a children's book. 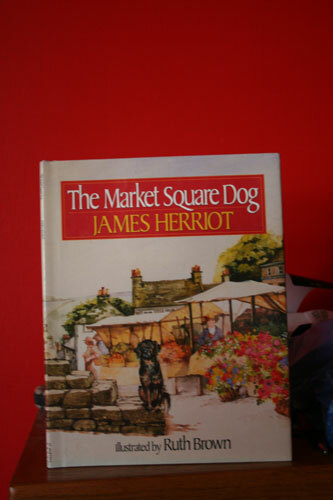 I have always loved The Market Square Dog by James Herriot and I pulled the colors from the cover as my inspiration. 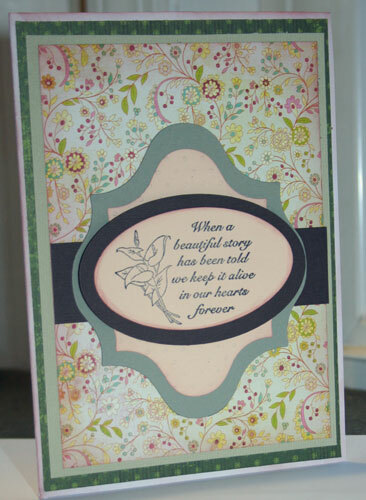 I used Spring Has Sprung Set . Oh, and there will be more projects from this cartridge, that's for sure. The challenge at Caardvarks this week was to create a card with lace. I used Justright's Friendship set on this card. The lace wraps around the card as well as the handle of the suitcase.